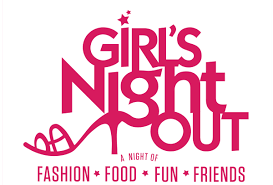 Girls Night Out is BACK!!! Thursday, April 29th. at 6:30 p.m. at the Opa Grille, 505 Stewart Avenue, Bethpage. Please join us for an evening of fun, food & friends. The sign up sheet is in the Narthex. This entry was posted on April 2, 2015, in Upcoming Events and tagged church members, congregation, evening out, fellowship, friends, Fun, gathering, girls night out, presbyterian women. Bookmark the permalink.